SteveTech1 is a 3D multiplayer FPS framework and engine, designed to help you create games such as Team Fortress 2, Overwatch, PUBG etc.. in Java. 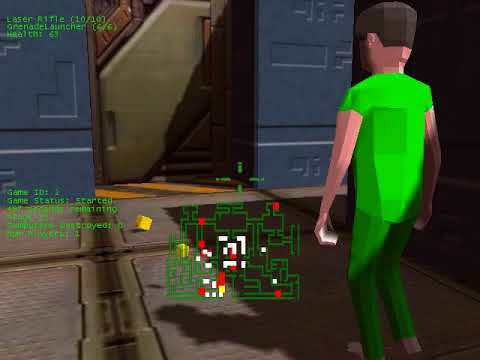 It includes almost all the code you'll need to create your own multiplayer FPS, and uses JMonkeyEngine for the 3D. It is designed to be easily modifiable and extendable (as the example games will show). It is intended to be the Java equivalent of something like the Source engine. You will need to provide your own assets of course. You are advised to look at the example game in the Tutorial project to see how to create your own simple multiplayer FPS game using SteveTech1. There is also the game Undercover Agent included, which contains more advanced features. For asset credits, see the relevant folder containing the asset. For the asset licences, see any file in the relevant assets folder.